Cooking with kids is fun! Cooking with kids can be so rewarding, but wouldn’t it be nice if it felt a bit more like quality time, and a bit less like a battle? Wouldn’t it be great if they were also learning new baking skills and tips? Wouldn’t it be even better if they could make a few splats and splashes on the floor and you did not have to worry about the mess, and wash every wooden spoon you own afterwards? Cookery Doodle Doo organise children’s cookery and baking classes and parties in North Hampshire, South Northamptonshire, and Cheltenham! Click on the “Find a Class” button below to hunt down your local cookery tutor. What makes our cooking classes special? We source and buy all the fresh ingredients for our cooking parties and classes ourselves, so you can trust us to always use free range eggs and the same good quality food we’d choose for our own kids. Each week is a new imaginative recipe to learn. With a range of classes from sweet to savoury, we make fresh pasta, bake bread, explore Mexican, Italian, Chinese and Indian classics, home-bake comfort dishes, whip up healthy options, and share the joy of food with our popular craft-inspired classes such as making jewellery-covered Handy Biscuits and edible Christmas Cards! Our classes are as creative as our children’s cooking parties and the kids will love learning to make new recipes with our friendly cooks. Many of our sessions also include crafting, stories, games, tasting and all kinds of other fun. We shop, prep, tidy and wash up. Phew! Katie Elfer ‘baked up’ Cookery Doodle Doo back in 2011, and over the next few years she grew it into a national business before ultimately deciding to spend more time with her boys. 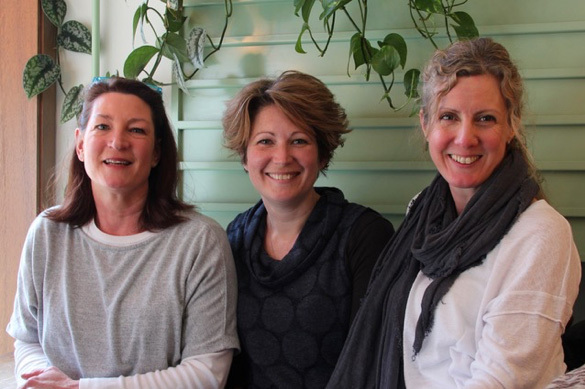 As a result, in 2018 Fiona Lannon, Katie Black and Rachel Wilson, the three original cookery tutors, ‘tied aprons’ to continue the Cookery Doodle Doo legacy: offering creative foodie fun for kids in a welcoming environment with quality ingredients. Our dedicated team are continually developing and creating new recipes and opportunities, ‘cooking up’ fun recipes across North Hampshire (Katie), Cheltenham (Fiona) and South Northamptonshire (Rachel). We run preschool and after school classes, pudding clubs, nursery/childminder visits, special events, parties, private sessions, holiday and seasonal workshops – offering something for every occasion! 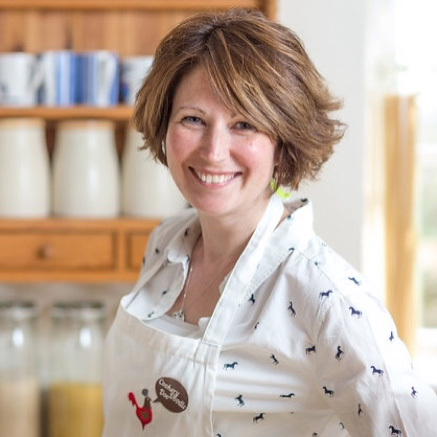 Hello, I’m Rachel and I offer creative foodie fun in South Northamptonshire. The kitchen is our favourite room in my house. I get so much pleasure from being creative with cook-ing, whether it’s following a recipe from my many cookbooks or pulling something together from the ingredients in the cupboards. Half the fun is the experimenting! My childhood memories of cooking, particularly baking, are of all the good things: the smell of freshly baked scones as I came in the door from school, standing on a stool at my Nan’s sink so I could reach the mixing bowl to stir the cake ingredients, then licking the leftover cake mix out of the mixing bowl! Cooking and exploring foods from a young age is so important for health and happiness. 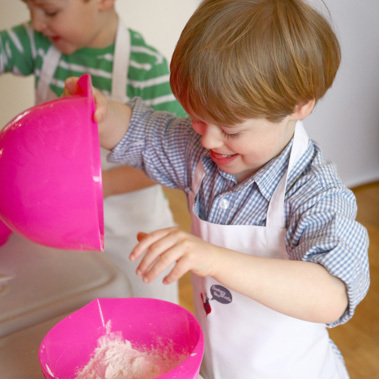 At Cookery Doodle Doo we offer oodles of opportunities to develop the palate and nurture a life skill! To find out more about what’s cooking, including preschool classes and Sunday morning pudding clubs, birthday parties, extra-curricular activities or special events, for children (2½-11 years) please get in touch. 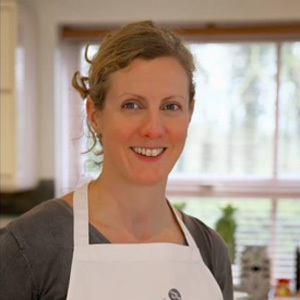 Hello, I’m Katie and I run Cookery Doodle Doo classes from my welcoming home kitchen in Whitchurch, North Hampshire. I’m a mum of two and believe that cooking is a really important skill to pass onto our kids. Growing up, I enjoyed regular baking sessions with my Grandma and cooking has always been my time to relax, and a way of being creative; I’m a total recipe junkie and read cookery books like novels! Like many children, both of mine have been really fussy eaters, and I know first-hand that getting them involved in the kitchen can be a great way of getting them to try new things. For me, it’s not about them finishing every crumb – it’s about exploring food and enjoying the whole experience. In my cooking classes the children can relax and get messy, learn important skills, try new flavours and chat about where ingredients come from. It’s a brilliant way for kids to learn about real, home-cooked food. As a mum myself, I place great importance on the adults being able to enjoy it too, so there’s proper coffee and lots of opportunity to chat at my preschool classes; and my pudding club was designed to give you 2 hours off on a Sunday morning whilst one course of the family dinner is sorted for you! To find out more about my preschooler cooking classes, Sunday Morning Pudding Club (for ages 5-10), creative parties, childminder/nursery visits, private sessions, events and more, please get in touch. 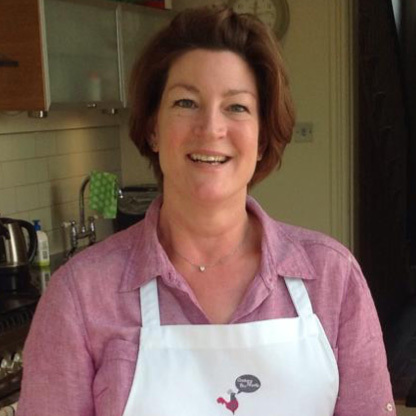 Hello, I’m Fiona and I run Cookery Doodle Doo cooking classes from my home in Cheltenham. Ever since I can remember, I have been interested in food; whether cooking in my own kitchen or sampling the delights both local and of those countries that I have had the opportunity to visit. I am also a bit of a cook book junkie, with a total of 175 at the last count! Cooking has always been a large part of my life from an early age, starting with my own mother who always produced freshly-prepared food for the family. This is something that I have continued with my own son who, while being a very physical boy, enjoys our time together in the kitchen: it’s very hands on, allows for lots of creativity and not to mention the satisfaction of the end product! Cooking is a fantastic activity to do with children whereby they can learn a whole range of skills, as well as providing an understanding of food and where it comes from. Based in the Cotswolds, we are fortunate to have fabulous local produce on our doorstep and through Cookery Doodle Doo, I love sharing recipes that deliver on nutrition, flavour and most importantly fun! To see what’s going on in my kitchen, including preschool classes and Sunday morning pudding clubs, please get in touch.